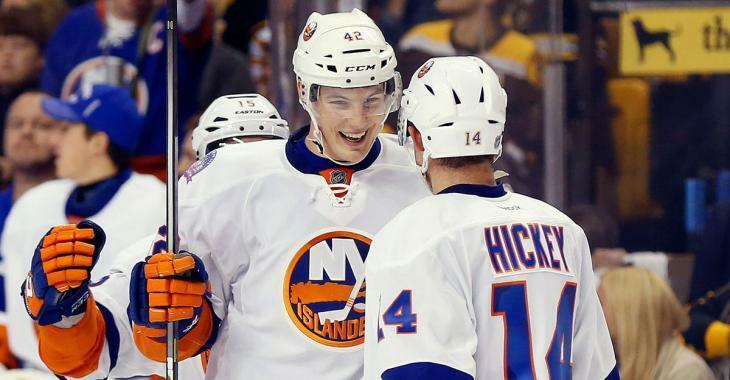 NHL News : Breaking: Islanders sign defenseman to five year extension! Breaking: Islanders sign defenseman to five year extension! The New York Islanders have announced that they have signed defenseman Scott Mayfield to a five-year contract extension, running through the 2023-24 season. The 25-year-old blue liner took part in a career-high 29 games with the Islanders this season, scoring two goals and 10 points. He leads the team in penalty minutes (35) and averages 17:34 time-on-ice per game. The Islanders selected Mayfield in the second round, 34th overall of the 2011 NHL Draft. He's appeared in 65 regular-season games with the Islanders and two Stanley Cup Playoff games thus far in his career.